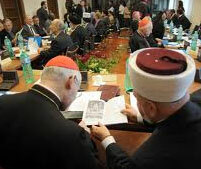 Renewal of Muslim Theology: “A Common Word” and the Theology of Compassion (TH-686)". The course offers a brief survey of traditional Muslim Theology (Kalam) and recent attempts at its renewal (New Kalam). Invoking often neglected resources within the Muslim tradition, and dialogically engaging contributions from Jewish, Christian, and Buddhist theological quests, a new Ash’arite Theology of Compassion is then offered for discussion and elaboration. The “A Common Word” initiative is invoked as a solid foundation for compassion-centered theology and preaching, and the need for personal and institutional networking towards a Compassion Architecture is then explored.